Ever since my three-year-old learned what ice cream was, I became a victim. Austin learned early on how to bat his eyes just the right way, flash that mischevious grin, and to use “Please, Momma” in only the most angelic way possible. I was putty in his hands. My ice cream became his. By the time Everett entered the mix, both boys had commandeered it all. Not cool, boys. Not cool. So, for anyone who has been victimized by a preschooler robbing you of all your dessert, I’m about to change your life. Ready? 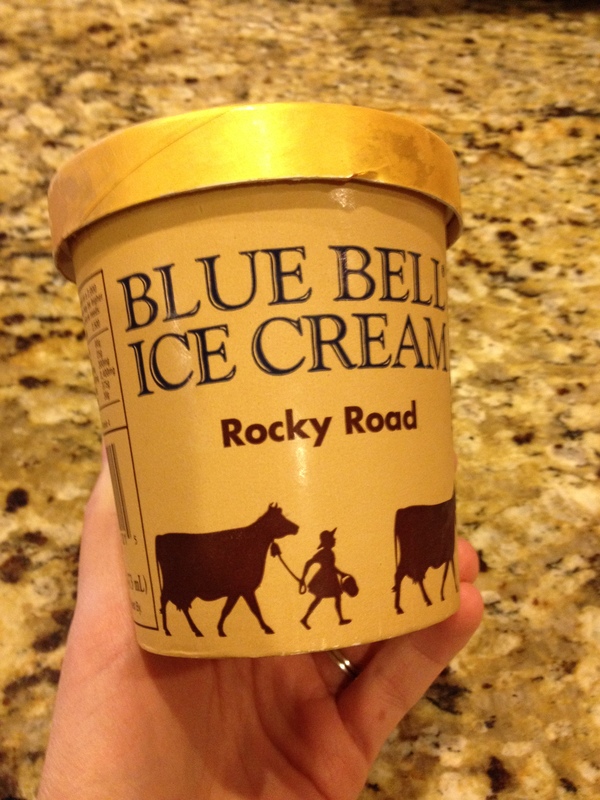 Insert the pint of ice cream into the Dickey’s cup, and it magically disappears. There still must be subtlety in eating said ice cream in front of the children, but, at least, when they catch you in the act, you don’t have to chunk it across the room, show them your empty hands and pretend you were never eating something in the first place. So very wasteful. 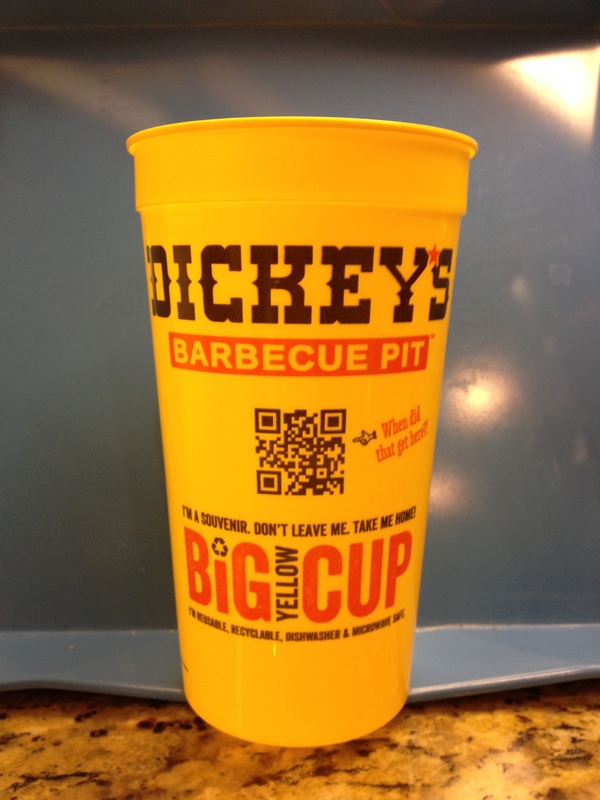 My first test run with the Dickey’s cup quickly caught Austin’s radar. No sooner had I taken my first bite than Austin poked his head from around a corner and demanded to know what I was eating. He stared at me skeptically for a few seconds as I held my breath. Then, he sighed and carried on his way, not willing to take the chance that I might not be bluffing. Momma wins. And, then, the next night, I served broccoli with dinner and made the kids eat it. Ouch. Sorry, guys. Hands off the ice cream. * I gave him the wrong cup. * I looked at him. * I wouldn’t let Everett eat an electrical plug currently in the wall. * I wouldn’t let him climb the shutters. * He doesn’t want to poop in the potty. * He doesn’t want to wear pants. * He wants to see Grambear, Nana, Kenneth, Grayson, Collier, Carson, along with every other person he has ever met in his life. * Because I picked him up. Because I put him down. * I wouldn’t let him cram his hand into my mouth. * I wouldn’t let him eat my chapstick. * Because the wall touched him. * Because the clock said it was only 9 a.m. Oh wait. That was why Mommy was crying. * Because I wouldn’t let Bambi go swimming IN the potty. * Everett looked at Austin’s toys. * Everett crawled near one of Austin’s toys. * Everett tried to eat one of Austin’s toys. * I dared to ask if he wanted to take a nap today. * I put food on his plate. * AND, his slippers that can go on either foot were on the “wrong” way. Only seven hours until bedtime… Sheesh. I can only imagine what the afternoon will bring. I think it’s a two Sonic drink kinda day.